When the first post-war printing trade show opened its doors in 1955 the organisers enthusiastically declared: ‘man is on the threshold of a new age of technological development’. This excitement was reflected on the show floor, which was brimming with photocomposing machines, automatic engravers, vast photogravure presses and mammoth cameras. In the pressroom offset was dominant, while in the composing room computer assisted typesetting had come of age. As the century progressed technology opened up new prospects for the industry, with innovative materials, inks and finishing techniques. One of the furthest reaching of the advances came in 1985 when Apple adopted Adobe’s PostScript page description language for its Apple LaserWriter printer and this, combined with the advent of DTP software, sparked a revolution in typographic technology. Today the revolution continues and printing has become hybrid, having merged with other technologies to create electronic paper, conductive ink and three-dimensional printing. 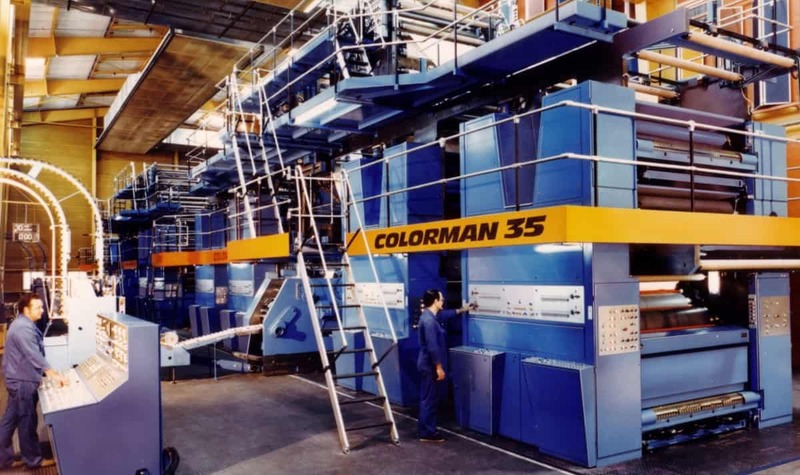 Over a period of seventy years technological advancements have revolutionised how printed material is designed, manufactured, distributed and consumed. No longer dependent on mammoth machines the industry is dominated by invisible digital software. Just as technology has changed the way that print is produced, so technology has also brought changes in the culture around its consumption largely due to the democratisation of print through the advent of ‘instant print’ and the availability of technology for the masses. Despite the huge change in the post-war printing industry and allied trade, this era seems to have received scant attention from historians. This conference seeks to address this gap and will consider the progress of the post-1945 printing including the technologies, processes and products of print, and also the users and consumers of the printed word. Individual papers of twenty-minutes duration or panel presentations of one hour are invited for this interdisciplinary conference from practitioners, independent researchers, established scholars and postgraduates working in the fields of twentieth-century bibliography, printing history, typographic history, print culture, social and economic history. We also invite delegates to bring typographic items from the post-war period for redistribution to those who might use them either in practice or in teaching activities: a box-full of unwanted golfball heads perhaps or photocomposer master plates, or examples of paste-ups or negatives. Other: book trade, journalism, news agencies, editing and authorship. How to apply Please send a suggested title, synopsis (300 words) and biography (150 words) via a Word attachment to david.osbaldestin@bcu.ac.uk by 30 April 2019. Organisers: Dr Caroline Archer (CPHC/PHS); Francis Cave (PHS); Alexandra Franklin (Bodleian Library, Oxford); Dr John Hinks (CPHC/PHS); Richard Lawrence (Printer, Oxford/PHS); David Osbaldestin (CPHC/PHS).